Muscle Memory: Gains are More Permanent than you Think! Muscle Memory: Gains are More Permanent than you Think! Did you know that building muscle now will pay off later in life? Not only will it be easier to bulk up and get stronger in the future, but you will never completely lose muscle tone no matter how long you go without doing exercise. It doesn’t matter if you don’t exercise for years; your body will remember. That’s right, we’re talking about muscle memory! To understand the concept of memory, we need to dive briefly into anatomy and look at the basic building blocks of the human body: cells. The body is made up of billions of cells: tissue cells, brain cells, muscle cells, etc. Muscle cells are far larger than the rest of the body’s cells – in fact, they can be THOUSANDS of times bigger. Unlike most other cells in the human body, muscle cells contain nuclei which store data, and which serve as the core for cellular growth. When you are training in the gym, your aim is to increasing the mass of your muscles and the force your muscles can produce. However, you don’t increase the NUMBER of muscle fibres, you’re simply changing the ones that exist. 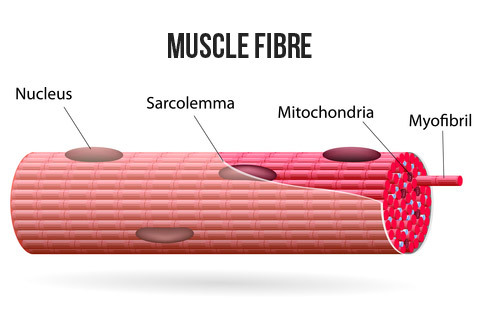 As the muscle fibres grow, stem cells cause the fibres to fuse with other pre-existing muscle fibres. This produces larger muscle fibres, which can store more energy – leading to more strength. The nuclei provide the base for this growth, and they store the cytoplasm that control cellular activities such as your metabolism. Before it was believed that these nuclei were destroyed when muscle atrophied after long periods without exercise. However, studies using modern technology have proven that the muscle-cell nuclei remain intact, as does all of the data that they has gathered. Thus, your body ‘remembers’ forming the larger muscle fibres, and it is easier for it to do so again. These cell nuclei provide the mechanisms for your muscle memory, and can quickly restart the mechanisms to store energy, synthesise protein and merge fibres. How Long Does Muscle Memory Last? According to a number of sources, it takes about 3 to 6 months for you to lose your muscle SIZE. The muscle fibres no longer need to store the same amount of energy, so they shrink in order to reduce energy wastage. When reactivated, they can return to their original size fairly quickly. However, how long does muscle memory last? The truth is that no one knows. Even after years of inactivity, many people have quickly regained the same amount of muscular strength and size that they once had. When you are young (between the ages of 18 and 35), you can pretty easily pack on pounds of muscle, or at least make serious gains in strength and muscular endurance. 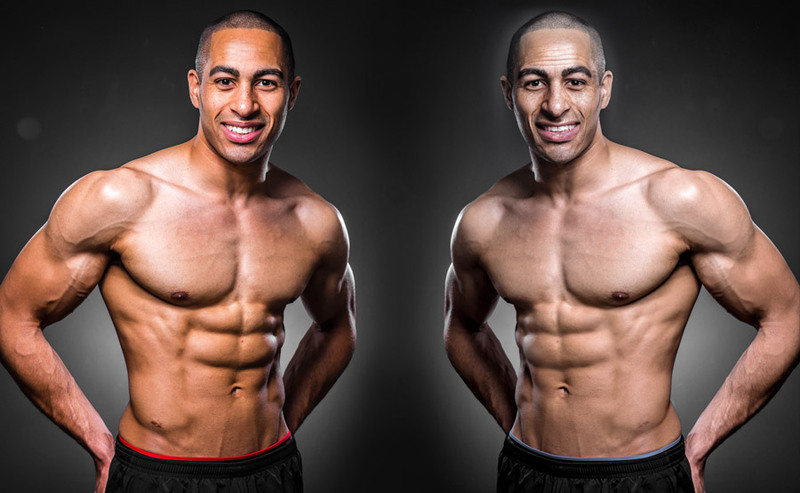 Most young people can bulk up fairly quickly with the right diet and training program. However, as you age, your body slows down. Testosterone and growth hormone production decrease, so packing on muscle becomes much harder. You may develop some strength, but it takes much longer to make progress and the risk of injury is much higher. THIS is why it’s so important to build muscle NOW while you are young. If you have built muscle during your youth, your ‘muscle memory’ will allow you to make gains faster in the future. You’ll be able to work back up to your original capacity much more easily than you would if you had never worked out in the first place. Not only will it be easier to build back up, but it will be easier to maintain muscular strength as you age. If you’ve built a solid base early on in life, you’ll be able to keep up your strength well into your 50s, 60s, and 70s. Just look at fitness superstars like Tony Horton, Jack Lalanne, and the Governator to see how it pays off to build muscle at a young age! So now you know your body has a muscle memory, but in order to build muscle in the first place you need a structured training & diet plan. 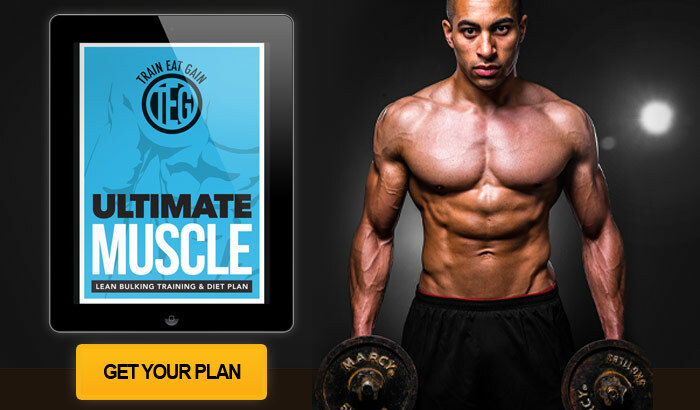 Check out our Ultimate Muscle Plan that will give you everything you need to build lean muscle.